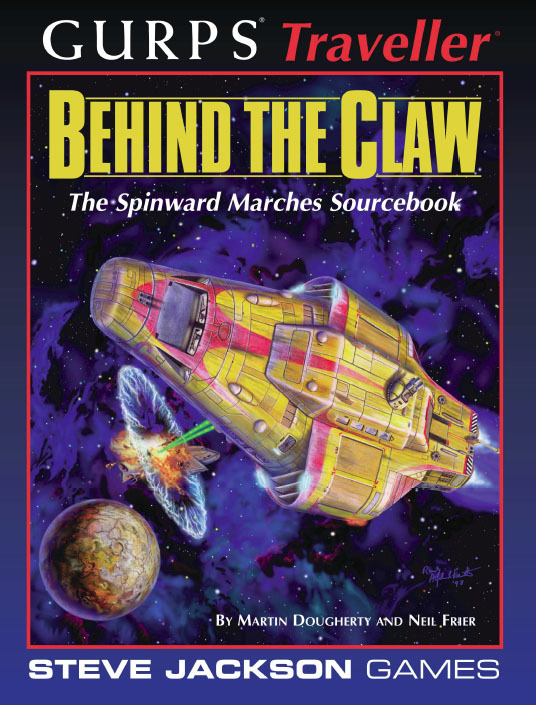 Behind The Claw: Slang phrase referring to those regions of the Third Imperium lying beyond the Great Rift. Almost a year from the Capital by Xboat, the Spinward Marches is a frontier region, scene of five Frontier Wars and innumerable skirmishes. The Marches are one of the most troubled regions of the entire Imperium. The Spinward Marches was first sector to be covered in the original Traveller background, and it is where the vast majority of campaigns are set. In many ways, it is Traveller's "home." GURPS Traveller: Rim of Fire – The Solomani Rim contains more history, honor, and horrors than any other part of Charted Space. Explore it today!